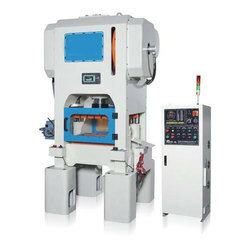 We are a leading Wholesale Supplier of high speed press machine from Chennai, India. Central Drum driven by Servo geared motor ensures smooth constant rotation at desire speed. Individual servo driven Plate / stereo cylinder ensures easiness in register set up along with presetting. Individual servo driven Anilox cylinder ensures easiness in desire constant synchronise run along with plate anilox cylinder.